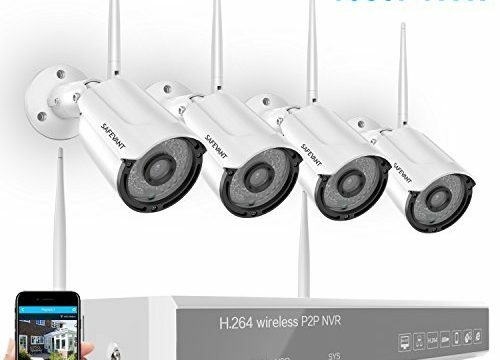 All-in-One 8 1080P Channel Wireless Security Camera system.Support Multi-Alarm Triggered(Video Loss, Motion Detection) and Alarm Alert(Sound, Email, FTP etc). It is a DIY home system with easy configurations not only the connectivity between cameras and NVR, but also the external access to it, and this system gives much higher resolution and image quality than analog ones. 4. Networking Protocol: UPNP, SMTP, PPPOE, DHCP etc. 1 Year Warranty When Purchased from Safevant. Thanks for shopping from us. Any problems during using our device, pls do not hesitate to contact us.